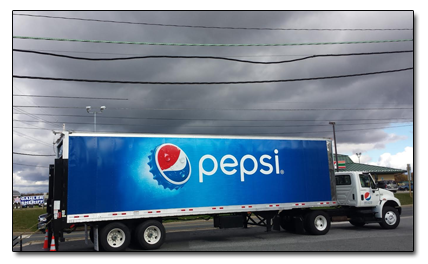 At Pepsi-Cola Bottling of Havre De Grace, we have worked to create a perfect blend of a strong national brands and a local, service oriented small business. Our Pepsi-Cola Company has been family owned and operated for the last 58 years. This background has given us the foundation for world class service. We know how important it is to understand our customer’s goals and meet their needs. We are working hard to create and maintain an open, honest and successful partnership for today and for years to come. Since our company’s beginning in 1957, we have acted as an Independent Bottler distributing a wide range of Pepsi-Cola products and allied brands. We are excited to be an entirely local company, serving businesses in Harford and Cecil County. Over the years we have built a legacy of satisfied customers who value the contribution we have made to the growth of their business. It is our responsibility to make sure that your business is positioned to get the maximum benefit from having well stocked shelves with everything from the standard Pepsi and Mountain Dew, to Dr Pepper, Schweppes, Crush, Gatorade, Ocean Spray, Aquafina, and Lipton Pure Leaf Tea. We are committed to getting Pepsi products to you when you need them so that you can meet the ever changing preferences of the consumer. No matter what type of business or organization you operate, we are here to satisfy your beverage needs. As a part of providing top-notch customer service, we are committed to continuous improvement. We view every day as an opportunity to serve our customers better than the day before. We recruit and select talented employees to join the Pepsi-Cola staff. We provide ongoing training and support that encourages promotion from within and ongoing professional development opportunities. By staying in tune with current trends and our customers evolving needs we are positioned to add value to your business today and for years to come. We are working to earn your trust and your business every day.